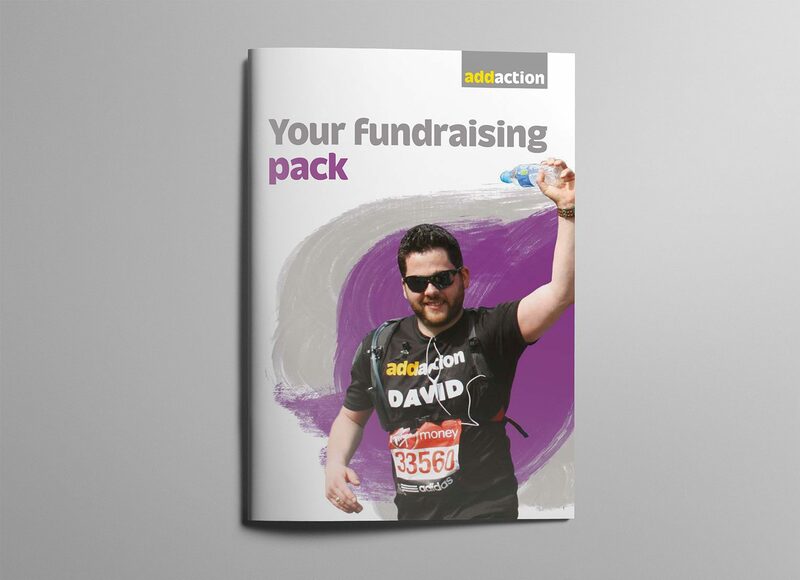 Addaction approached us to create a new and inspiring messaging and fundraising visual identity for its Regular Giving programme. We called this very important and loyal group of supporters ‘Recovery Partners’ to link them closer to the vital role recovery plays in Addaction’s work and in the lives of service users. 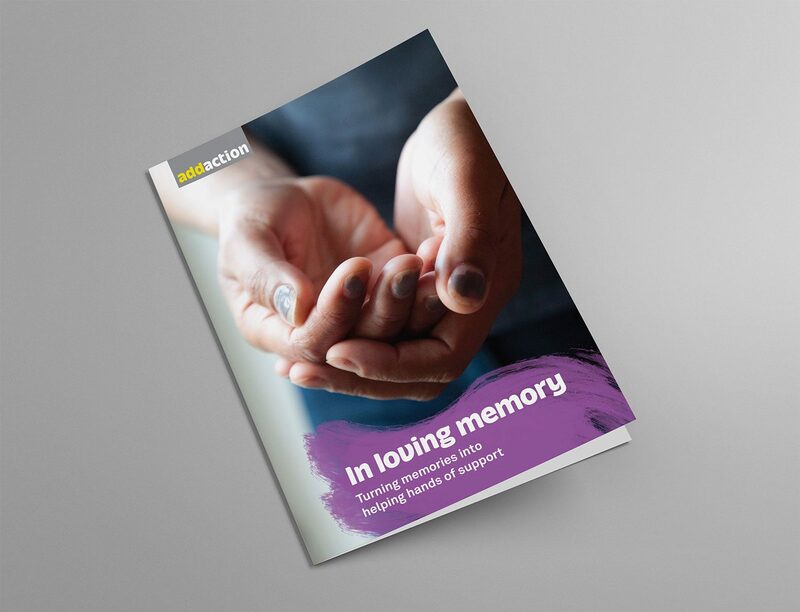 We kicked off the project by carrying out an audit of all of Addaction’s current fundraising materials as well as looking at their close competitors; Turning Point, Lifeline and CGL. 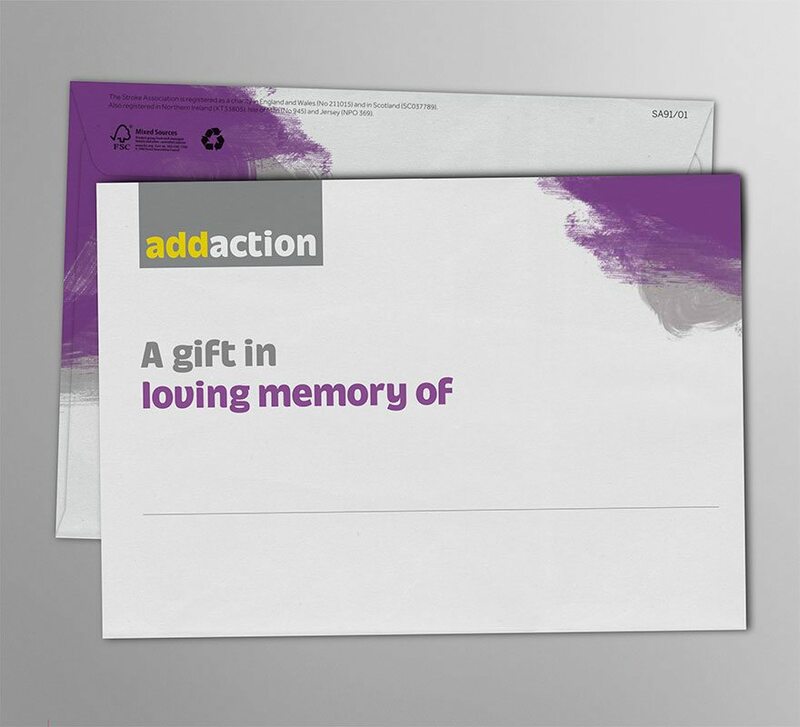 We found Addaction was the only organisation that directly tackled the stigma and perceptions surrounding addiction, as well as providing a hands on service for people struggling with alcohol and drug abuse. 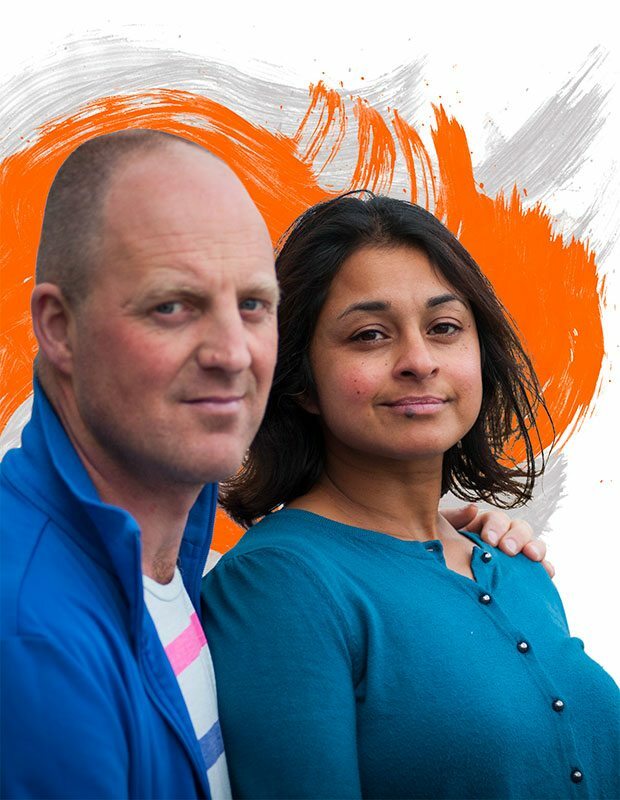 Addaction not only dealt with the addiction itself but the underlying causes, something that sets them apart from their competitors and is reflected in their outstanding success rates. These two very important findings formed the basis of our concept. The essence of the messaging and visual identity centred on addiction being something that can happen to anyone. Addiction isn’t a lifestyle choice. 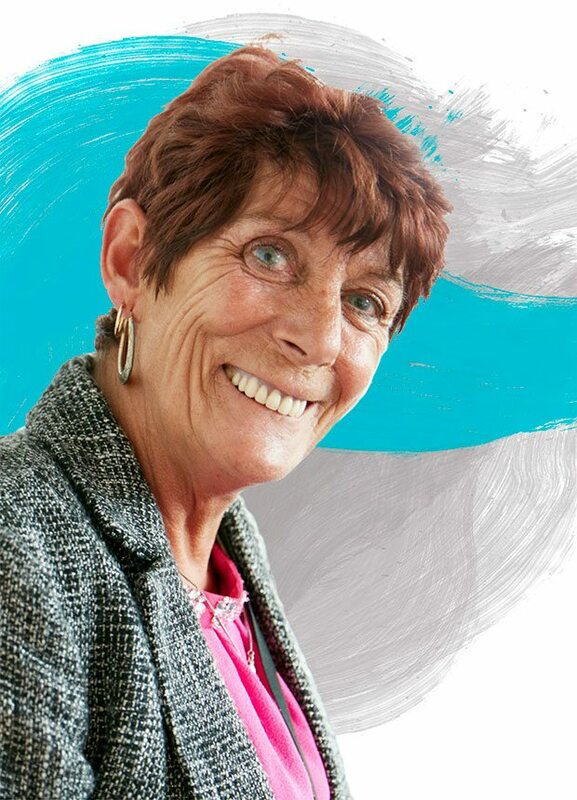 We wanted to convey that service users are ordinary people who have been severely affected by complex emotional and physical circumstances that have led to their addiction. 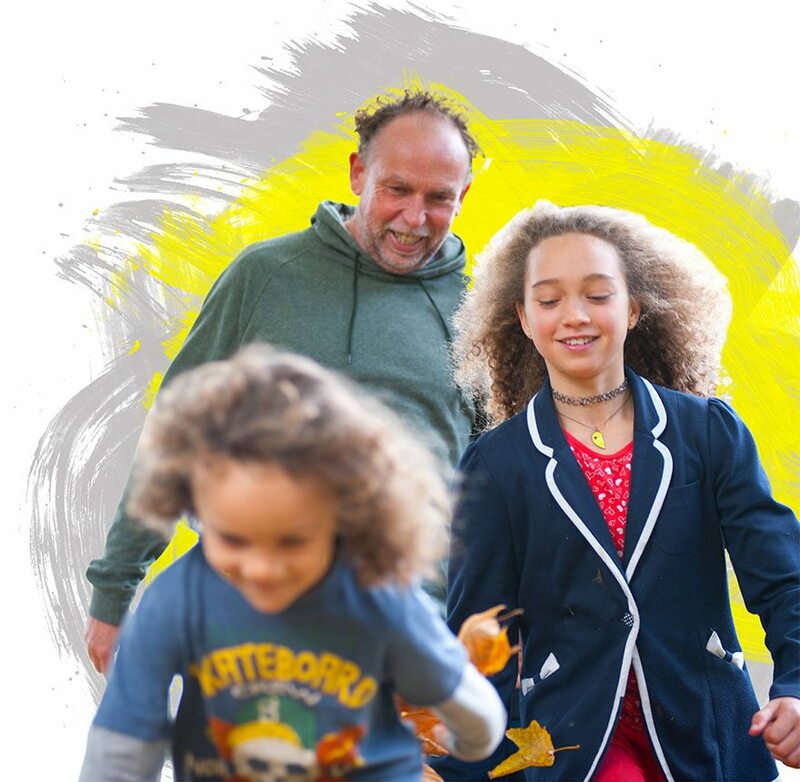 Visually we used cut out images of service users and created a grey swirl behind them to represent the chaos of their previous lives before overlaying the chaos with a vibrant colour from the Addaction colour palette. This represented the impact and success of Addaction’s work. 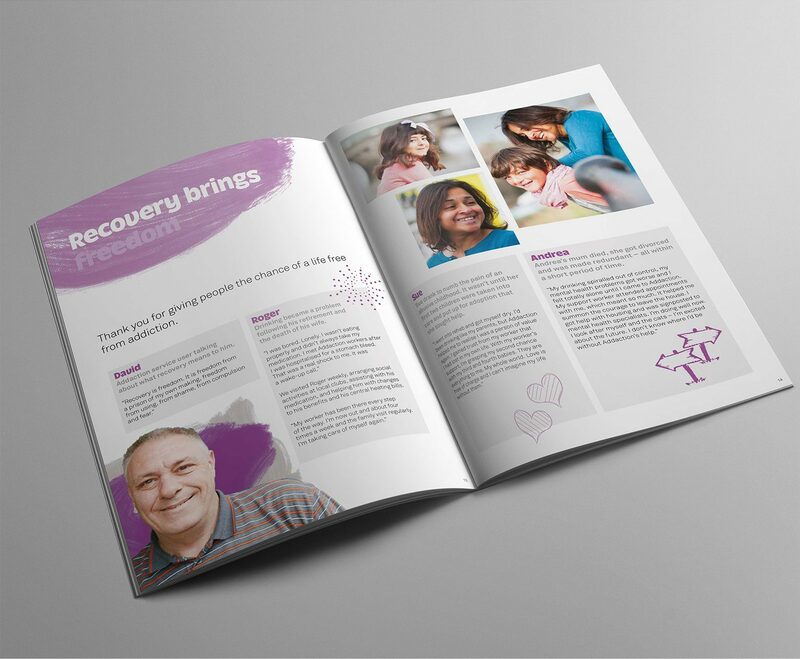 By using positive imagery we focused on the future and how together with Addaction’s help they had overcome their addictions. Many service users go on to help others within the organisation. 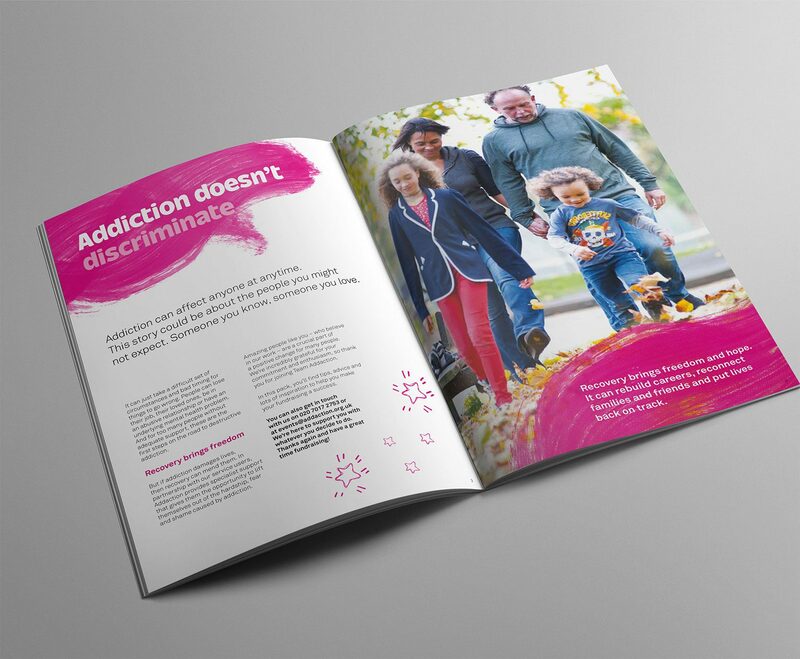 By making the messaging more impact focused and case study driven, it gave donors a much more persuasive reason to continue supporting Addaction than a narrative about the services provided. So far the new visual identity and messaging has been applied to In memory materials and the fundraising events pack.